18 karat gold stud and clip earrings. 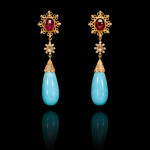 Two large rubellite tourmalines surrounded by hand made diamond set gold scroll work. 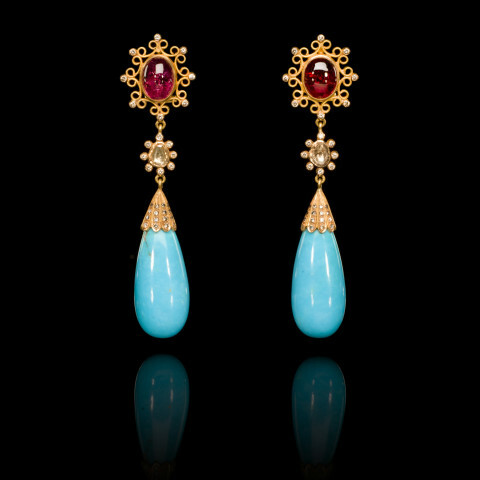 Two diamonds surrounded by smaller diamonds. 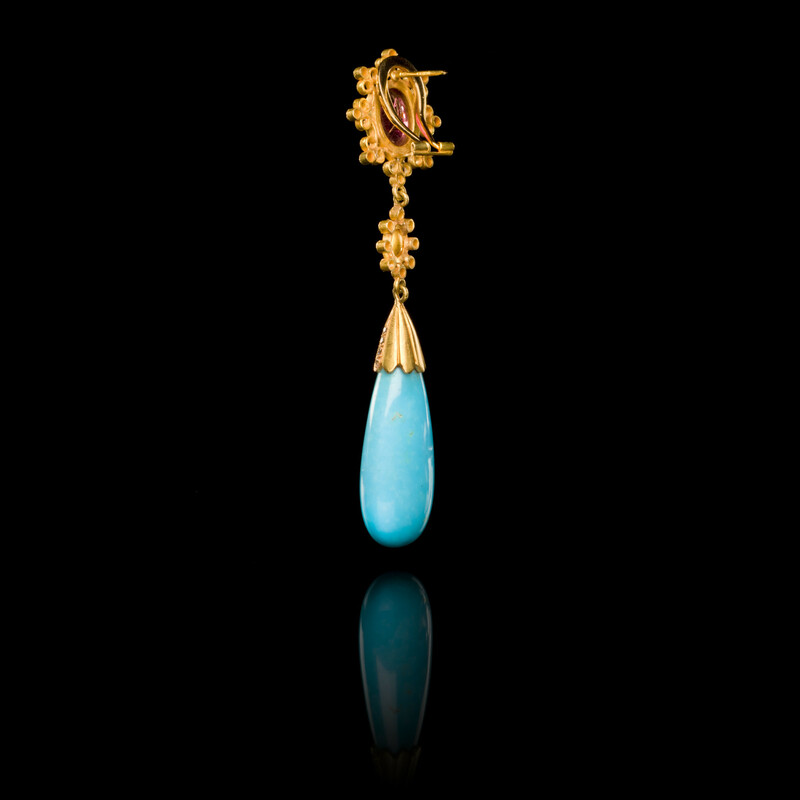 Two turquoise drops suspended from diamond set gold. Unique pair. Length 8 cm, 3 1/8 in.